Reese Larkin is desperate to find the perfect mattress. His job is in jeopardy and he's been forced to separate from his wife and children, but he believes that if he can find the ultimate sleep system his life will begin anew. In her seventh novel, Cordelia Strube grabs readers by the neuroses with a dark but wickedly fun story about a former Greenpeace activist forced to turn marketeer who battles against a world in which he is confronted by shift mattress sales clerks, a Fred and Ginger-obsessed strip-bar waitress, derisive colleagues, and a wife who has mysteriously turned cold and is keeping his children from him. Alone in his damp basement apartment with his daughter's hamster, he longs for a good night's sleep and, though faced with despair, begins each day hopefully as he grips tighter to the edges of his life. 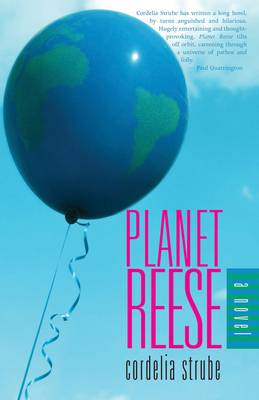 Engaging, enlightening, and always entertaining, Planet Reese is an intensely personal and endearing tale of a man holding on to his sanity against all odds in an increasingly unhinged world. Cordelia Strube is an accomplished playwright and the author of six critically acclaimed novels. Her first novel, Alex and Zee, was shortlisted for the W.H. Smith / Books in Canada First Novel Award, and her third novel, Teaching Pigs to Sing, was nominated for the Governor General's Award. Her play Mortal won the CBC Literary Competition and was nominated for the Prix Italia. She lives with her family in Toronto where she teaches at Ryerson University. Her most recent novel is Blind Night.